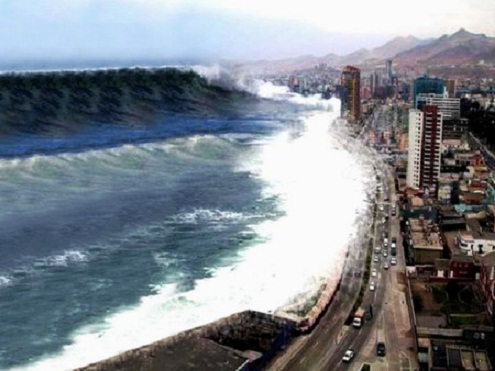 Most of the people lost their lives in the Indonesia, Thailand, Sri Lanka and other countries when Tsunami took place in December 2004. There are hundreds of animals in the wildlife sanctuary in Sri Lanka. Animals like elephants, monkeys, tigers, buffaloes and birds were there in the wildlife sanctuary. No animal was found dead after Tsunami and their dead bodies were not there. The reason for this is that animals had detected the natural calamity before itself and they had escaped from there. People in the wildlife sanctuary had observed elephants shouting and breaking the chains which were tied to them. Elephants had run to the top areas and people understood the reason for the dog rejecting to walk along the seashore, Flemming birds left that area and flew away. In the case of earthquake, there are many animals which behaved in different way. Fish used to jump above the waters from one hour before the natural calamity, dogs used to shout in different way, rats leave their homes and hens stop laying the eggs. According to many researchers, there are many reasons for the animals to detect the natural calamities before they occur. The main reason for the detection is the listening capability of the animals and they can listen the infra sounds which the humans can’t hear. Few other animals detect the occurrence of natural calamities with the help of changes in the waves inside or underneath the earth.